Miami International Airport announced that two cargo handlers have received a special designation for transporting pharmaceutical cargo, expanding the airport’s role as a hub for pharmaceutical trade. Worldwide Flight Services and LATAM Cargo achieved the International Air Transport Association’s (IATA) Center of Excellence for Independent Validators (CEIV) in Pharmaceutical Logistics certification. 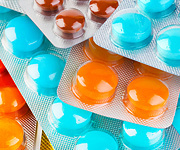 IATA created the CEIV program to certify that pharmaceutical products are handled under a strict set of guidelines, with one of the biggest areas of focus being temperature control of products. The seals of excellence received by LATAM Cargo and Worldwide Flight Services specifically pertain to how the pharmaceuticals are handled on the ground.